Versatility Williams direct vent heaters are very versatile gas heaters. They are slim and taking up a very small amount of room, do not require electricity to run, are easy to vent (venting included), and can be controlled remotely by a wall thermostat (included with heater). Included wall thermostat has a range of 50° to 90° F and an on/off switch. Efficiency With a direct-vent system, there is a positive difference in fuel economy because outside air is used to support combustion. The air on the inside is warmed as it recirculates around a sealed chamber. 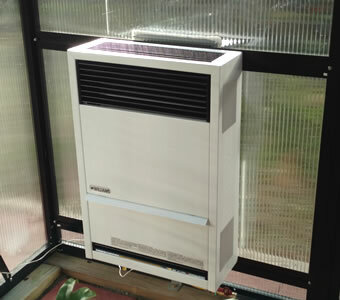 This warm air comfortably heats the room cleanly and efficiently. Easy of Installation Williams direct vent wall heaters are ideal where existing flues or chimneys cannot be used. Just one hole through an outside wall is all you need. If you must vent, you will receive maximum fuel economy from direct-vent heaters. Ignition A push of the button ignites the pilot with a "matchless" piezo system. Add an optional internal blower for even greater circulation. Safety Safety is engineered into every Williams gas heater. Each unit contains an automatic shut-off valve should the pilot light become extinguished, and Williams' quality control procedures ensure that every heater is a top performer before it goes into your home. Durability Williams leads the field in style and durability. We use a state-of-the-art powder coating that produces a strong finish that resists scratching and chipping. Quiet Williams' secret to quieter operation is our uniquely designed burner. As gas enters the burner port, it is ignited immediately, which eliminates delayed ignition noise and gives you quieter operation. Appearance Williams is the only heater of its kind that features an attactive two-tone finish that blends in with most any environment. 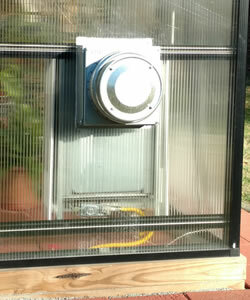 The simple direct vent cap on the exterior of your home projects only 6 inches. And, with the optional thin-wall collar kit, installation on virtually any type of structure is possible. For Greenhouses, use our Greenhouse Heater Size Calculator . This chart is to be used for homes and as a guide only. Chart assumes areas are insulated. with 4 exterior walls, additional heat may be required. Heater Elevation If you live at an elevation above 4000', Williams heaters need to be equipped for high altitude. High altitude heaters are built to order and shipped direct from Williams. The average ship time is 1 to 2 weeks, and there is an additional $79 charge.